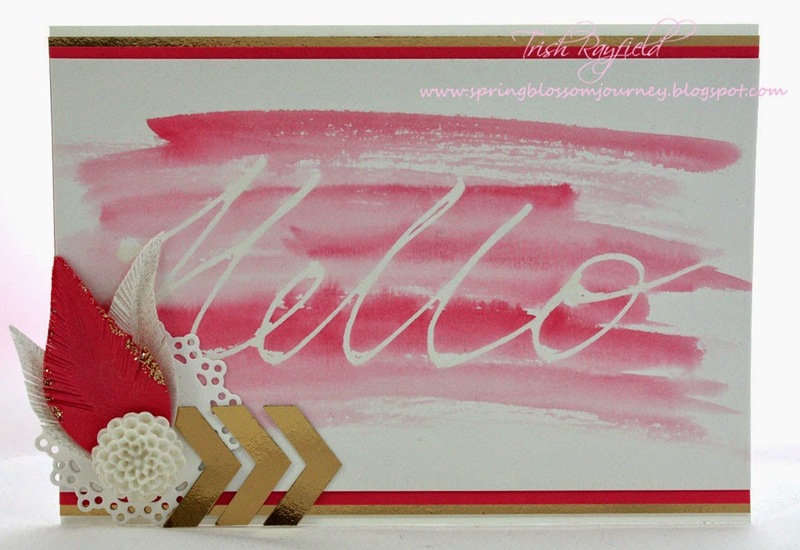 This week's inspiration challenge at Just Add Ink is right up my alley...... pink, chevrons and flowers! The inspiration pictures gave me so many ideas that I didn't know where to start. 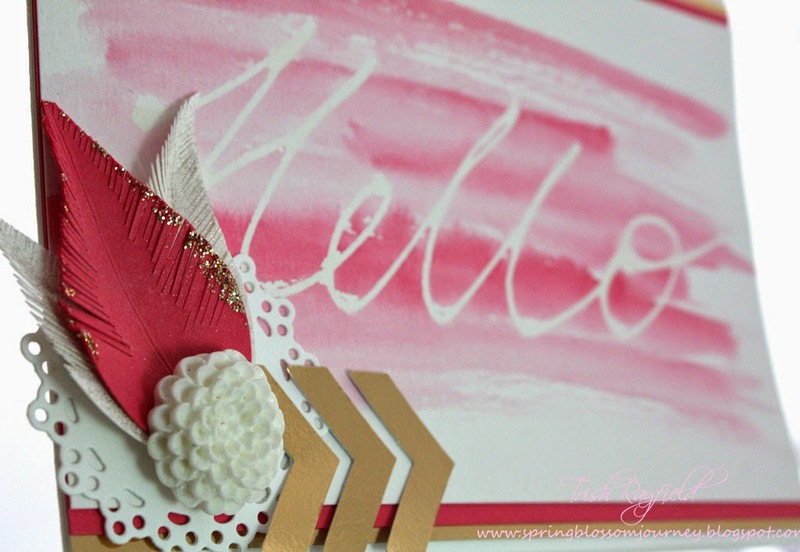 I remembered seeing an interesting technique using masking fluid over on this blog where Amber gives a great tutorial. I decided to give it a try! I firstly had to buy the fluid at a local craft store and then I did quite a few test runs to make sure I was happy with the final product. I've also borrowed another technique for the paper feathers from fellow Design Team member Susan. You can see her feathers here. The pink in these pictures looks really dark but in real life it's' much softer! The design team have out done themselves this week so hop over and check out their creations. I hope to see your inspired designs this week so link up here! Oh yay!...l've been waiting to find how you created this beauty...love that watercolour effect and how cute are those feathers, l think l squealed when we made them at Convention...so easy & fun! Trish this card is lovely. I love the watercolour effect you made and that lovely little detail of feathers and your gold arrows. Beautiful. So beautiful and so modern with that water coloured effect! I also love the little cluster of modern embellishments! Aww, thanks for the mention. I LOVE this card. I find pink really hard to work with but you have mastered it! The watercolour effect is so amazing.